Fire Note Says: Like his previous tribute to Townes Van Zandt, Steve Earle serves up a collection of Guy Clark songs that celebrate his songwriting catalog. Album Review: Given the current state of popular country music, it should surprise us that what gets labeled Outlaw Country, or Americana, or alt/country these days often has a strong bias toward the traditional and an authentic old school ethic of keeping it real, even as it expands the genre with rock and other influences. Steve Earle, who’s last album was titled So You Wannabe an Outlaw (2017), has certainly pushed the boundaries sound-wise, especially back in the 00’s on albums like The Revolution Starts Now and Washington Square Serenade, but he’s never wandered too far from his musical roots in real, honest-to-goodness country music. In fact, Earle has already recorded a tribute album for one of his major influences and friends, the late Townes Van Zandt, titled simply “Townes,” which is also his son Justin’s middle name. This time out, Earle is celebrating the songs and music of Guy Clark, who had written songs recorded by Jerry Jeff Walker, Jimmy Buffett, Lyle Lovett, and Rodney Crowell. Clark died of lymphoma in May of ’16. Where Van Zandt had the benefit of a song like “Pancho and Lefty,” which crossed over to touch rock audiences through the likes of Willie Nelson and everyone else who covered it, Clark was deeply respected in that Outlaw Country community but rarely got notice beyond it, though there’s little doubt that artists like Dylan, Springsteen and Mellencamp have been influenced by his smart, poetic approach. Earle has taken it upon himself to make sure Clark’s artful way with a song lives on. Musically, Earle and his fine band of Dukes play it pretty straight, delivering the songs in ways that celebrate the country tradition, with appropriate levels of pedal steel guitar by Ricky Ray Jackson, fiddle by Eleanor Whitmore, Kelley Looney on bass, Brad Pemberton on drums and Earle and Chris Masterson on guitars. Whitmore joins Earle on harmony vocal for “Anyhow I Love You,” and Emmylou Harris, Walker, Crowell, Terry Allen and Jo Harvey Allen sing harmonies, and do the talking verses appropriately on “Old Friends.” “The Last Gunfighter Ballad,” which Earle had recorded for a Clark tribute back in ’11, “This One’s For You,” which also featured a host of the usual suspects, Harris with John Prine, Walker, Crowell, Lovett, Shawn Colvin, Roseanne Cash, Joe Ely, Patty Griffin and more, appears here, but it includes 15 more new recordings. In a fun song by Bottle Rockets, we learn it’s a “Bad Time to Be an Outlaw,” because the music is too country for the rock stations, and too… well, good, for the Bro Country stations (see that joke on youtube about how every country song has the same truck, same girl in cut-off jeans, same river or body water, and adult beverage of your choice), but musically speaking things are looking pretty good. 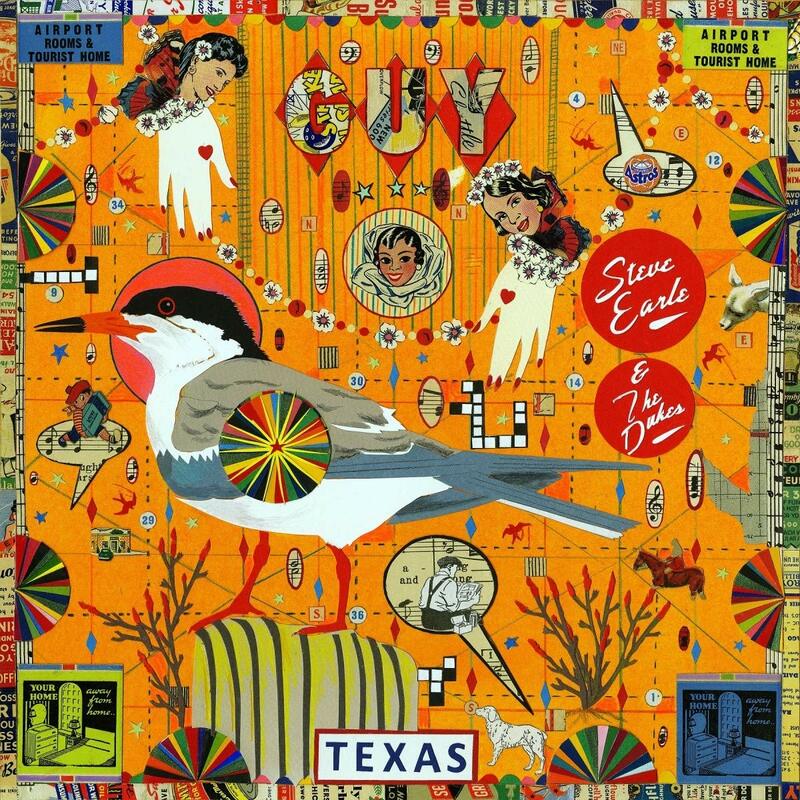 We got Jason Isbell, Son Volt, and thanks to Steve Earle, this great collection of songs by Guy Clark. In the liner notes, Earle’s one regret is that he and Clark never wrote a song together, but here on Guy he manages a stellar collaboration that goes one better.